And so here we are in Virgo – sign of the virgin, fertility goddess, birther of the new world – very auspicious for this month. She represents purification – birth of the higher self – the synthesis of integration of light and dark. This month is by far and away the most powerful month of the year – the eclipse season – the super moon phenomena – Mercury goes retro in the final air sign – Libra – for the year – Saturn returns to Sagittarius for a two year stint [expect more pane oddities, crashes and disasters – space breakthroughs or problems amongst many other things] which will challenge powerfully the philosophical underpinnings of the patriarchy of the world brought to it’s knees under that madness – Pluto stations direct in the ongoing transformational aspects of Capricorn which will impact on finances and power also – in more of a challenging way than Venus – who ends the retro journey in Leo providing a boost now in finances and stability in that regard. It has been a bit of a struggle for financial steadiness for a while now although I am sure many of you don’t need to be told that lol. The Eclipse cycle will be very powerful and the final Blood Moon lunar eclipse the most powerful of all. The month begins with an dances between Neptune and Jupiter and Saturn and the North Node – all of which will feature in our attitudes to what is real and for the higher good – against what is false and for the destruction of all but the money controllers. As Venus turns direct on the 6th – all that she taught us about no one being an island unto them selves – becomes apparent as we enter the eclipse cycle and when past karma and consequences will again be offered up for healing in the solar eclipse of the new moon. If an interesting relationship from the past turned up during her retro period – it came back for healing and what ever turned up in that regard can now be let go of. We have had under Venus’s retro period in Libra an opportunity to examine all relationships and see them truly – and many of us have ended relationships or ways of being and have begun to heal them now. On the 9th when Mercury and Pluto square off our thinking and being with others can become remarkably intense and we may be led down all kind of rabbit holes to follow an interest or a pursuit or an obsession even. It really is important not to let emotions or irrational thinking take over at this time for it could easily do so with the usual non useful and somewhat inevitable results. Potentially though – if you avoid such things – it can lead to a deep plunge into the darker aspects of what it is to be human – to challenge our thinking around that – both in terms of what do we think it is and in terms of what do we need to do about it and I give you the drum now peeps – own it and integrate it are good clues for your personal growth and empowerment lol. Stop buying the hysterics madness about the devil and evil and start owning up to what it really is to be human. The midwives [you know who you are] will dance with the great mother on the 11th – slightly anxiety provoking but also very cool as we draw on the great power of the eclipse energy, already fully available then for the healing and preparational journey. Then on the 13th the new moon eclipse proper unfolds in Virgo and as it aligns with the Karmic North Node – following four weeks will intensely shift out or your world and system what needs to go – no matter how determined you are to hold onto it. As it is opposed by Chiron – the great wounded healer in all of us – in Pisces and we will also be offered an opportunity to let go of our individual fears and isolation and connect with the greater one consciousness under these healing energies. There is a wound to our deep selves that can arise here – a fear of being ourselves or speaking our truth for fear of consequence and retribution. Many humans carry this for many ghastly reasons – we have all been suppressed and controlled and manipulated many times over many lives. The accompanying guilt, grief, inadequacy and feelings of lack of worth that go with this is what may also arise and Chiron allows us to rise above this old pattern so seize these eclipse energies and grow! This is powerful for what unfolds this month after it you will be able to clearly establish new and clear boundaries in all your relationships, romantic, family, business and friendships. It will also allow you to see how you clutter your life with things you use to distract yourself with – to allow for a better life balance – what are your addictions – where are you wasting resources. Use this turbo charged New Super Moon to shake the tree – plant seeds deep in your psyche to gestate – to commence the cosmic reboot over the next four weeks in general – and in the lead up to the Blood Moon eclipse in particular. As the Moon blocks the Sun that which was unconscious becomes conscious – the veil becomes very thin – we may see things in their stark truth that will unhouse us profoundly and cause us to totally change our trajectory for life. With Jupiter here also we can build big things from this – we can truly help the mind to rise above its paranoid delusions that have brought the human world and many other living species to the point of extinction in its madness – to awaken the mind into its diamond state of supreme awareness and untouchability – so that this marvellous tool can work for us – rather than now with its’ perpetual ramblings that inflict so much suffering in the world. It is interesting also that it angles to one of the constellation of Leo’s stars Denebola and the ancient astrologers linked this star with public figures being torn down, personal humiliation for wrongs exposed, wildness in nature that brings great misfortune and yet it also brings nobility, a certain daring-do and generosity of spirit. Much that is hidden may be exposed however in the chaos and exposure of this we may rise to our true nature for the healing of self and others. The nature of this stars’ influence and the eclipses’ alignment with Uranus will bring many people to the brink of madness. It truly is an eclipse of great potential for healing – or by not cooperating with this – pushing oneself into the escape of madness. On the actual day of the eclipse I would be tempted to stay away from all your electronic toys – there will be enough going on internally without adding to the stress of distorting the electromagnetic fields around you. The energies of Venus, Mars, Uranus and Jupiter here mean this volatile eclipse brings the possibility of short term intense relationships that probably wont go anywhere if started now – although they will be intense and pleasurable and relationships are definitely up for renewal in all sorts of ways as stated lol. If you do the work you can also put fire and enthusiasm back into many relationships post this. There truly is potential for great healing here and great escape into giving your power to someone or something that promises they have all the answers for you or to something to stretch your mind and pat down the storms of spiritual awakening – better not lol. And Lilith in all her glory as the Hidden Goddess – and with her alignments with Alcyone and Saturn – shows that the Hidden Goddess is rising – in all her spectacular glory that day – along with a wave of electromagnetic energy that has been rolling to us from a long distance. All actions that flow from this – that are in support of a new way of being – one consciousness will flourish under this eclipse energy! As the dwarf planet Ceres turns direct in Capricorn the next day on the 14th it provides energy to support and be supported in any endeavour that helps us ground ourselves and look to a different world – and as the Jupiter opposition to Neptune rolls in on the 16th also – our highest ideals become clearer and we support ourselves in healthy and nurturing ways. It is important to be discerning in all that goes on with the body between the eclipse and the full moon – feed it well – stay away from intoxicants – ask for inner guidance re your path. Then Mercury goes retro in Libra on the 16th and again this causes us to pause and reflect on all that is going on in us and reflected completely around us – remember we do not see the world as it is – we see it as we are and during this three week period – you will be able to observe in your external world what is being asked to be recognised within. In Libra it encourages us to reflect more on relationships – and remember the ones you have with the world are simply a reflection of the relationship you have with your self so you are offered an opportunity here to examine that – to clear up old patterns, create healthier boundaries, to stop being a doormat for others or to stop wiping your feet on them. It will be harder now to have the two faces of the public and private persona apart. If there is a great distance between the truth of these two aspects of being – it will be brought to the surface at this time – asking you very powerfully to walk your talk and to not wear the false mask for the world. It will be important to do this by the way for as other aspects of this eclipse unfold later – it will be easier to manage them if you are in integrity with yourself. Pluto is aligned strongly here also so while this is one of the easiest retro periods in a while in some ways that will facilitate good conflict resolution over most things – be aware a storm may arise with a certain ruthlessness. Overall though this possibility of Mercury retro in the relationship home of Libra genuinely supports the new beginnings brought in by the solar eclipse. And of course there are all the usual admonitions re communications and misunderstandings and such like. On the day after on the 17th Saturn recommences its journey in Sagittarius – ruler of media comms, travel, higher mind, philosophy, adventure and travel, writing and publishing, the marketing of imports and exports – it will push us further to contemplate the higher mind, the one consciousness, kindness to all – as it continues its’ 2 year journey here. This is also all about freedom and unshackling from the chains of government gone mad, the police state growing and all constraints in relationship. Jupiter – the great beneficence and expander is now in the sign of the Goddess – Virgo – and she has been contained for more time than she cares to think about under the horrors of the patriarchy and she will shine within all beings and say NO MORE. Love will rule her energies – it is just the days of being ordered about by anyone are coming rapidly to an end. Saturn will be here in Sagittarius until December 2017 and under this energy we can finally bring long term goals into being. Saturn here reminds us to quietly go about our committed state of being – to accept we have chosen our path and now make clear focused steps along it to achieve our goals. No hoopla or drums – just strong steady steps towards a better world – and this is a beautiful energy to encounter – for the chaos of all other things will continue and it allows us to steady our course and not get swept off into lala land of fantasy. It shows us and reminds us that everything we need is within us – we are enough and always have been – we require no ones permission to live in any way we choose and gives us the courage of our convictions to make a better world for all. The spring equinox here in the water based, feminine hemisphere of Earth – occurs on the 23rd as the Sun enters the zone of Libra. This is spring proper beloved ones – when the days begin to be longer than the nights again and the time of renewal and celebration are in order after the long winters dark. This is followed a day later on the 24th by Pluto going direct in Capricorn – until April next year – it has been here for going on 7 years now – and still has a way to go before all government, religious, banking and military forces are torn down completely – thus freeing the people from the enslavement of the patriarchy that has gripped the world for the last manifestation of a civilisation. Most of the work has already been done – during its final time here over the next few years we will see it all coming down is all. So expect some increased intensity from here – especially around power and control issues – ramped up by a challenging square between Mars in Virgo and Saturn in Sagittarius the following day which will frustrate everything [and compounded by retro realities lol] so it pays to be Zen during this time and own your own you know what. In its powerful retro time in retro since April we have been shown and encouraged to reflect on the way we live our lives – what matters to us – how do we fuel our reality – and the madness of giving our power to emotional highs and lows to create the energy we live off. It has shown us that all we need is within us – it always has been and always will be and that we can be at peace and trust all things are unfolding perfectly whether we remember the plan or not lol. And then on the 28th the final Blood Moon of prophesy arrives in Aries – the sign of new beginnings. Blood soaked with all the intensity of a wild woman preparing to birth. It will have us purge powerfully from our beings all that which no longer serves our higher selves and awakening state. Who are we and how do we choose to be in the world. All that has been incubating over the past 6 months can now come into being – all the seeds that have been planted can now come forth into life – if we have utilised this past 6 months well. The effects of this howler of a moon will be felt for three months after so what ever you birth this Moon – nurture it well for that time. Let it be wild and free and joyous – we humans resist change more than anything else – despite the fact it is the one constant in our lives – so eclipses bring big changes which can make this time stressful – however if you embrace those changes you can avoid the volcanic eruptions that this moon brings about. These are highly emotional days and rather than use that energy to vomit over someone – use them to see what needs to be released – your emotions are not rational – however if you work with them – rather than pretend you don’t have them – then you can learn to uitilise them to navigate the psyche – and heal many things associated with a specific emotional patterning. This is a powerful gift so what ever comes up at this time – let it out – honour it – be free. This Blood Moon’s energy births leadership and intelligence – an urge to move Onwards and Upwards – to infinity and beyond – with a kind of a trail blazing energy which is great really – however many will not have done the work for this and so we are likely to see a swelter of exposures of scandals, rash decisions and other difficulties as people leap headlong into the fray and then wonder if that was such a good idea. This eclipse also aligns to the star Deneb Kaitos and its associations with recklessness, foot in mouth, headstrong and rash and raging tempers. So it is really important to be mindful of this and not go off half cocked at anyone if you can avoid it. This energy of the eclipse is kind of a winner takes all approach and can facilitate people making huge personal turnovers or turn arounds in their lives or to risk absolutely everything on a relationship or an idea that could quite literally blow us out of the water in a very unpleasant way. Work with it and the world is your oyster – be swept by it without understanding and you may find yourself in very hot water altogether. All or nothing yes – but do it wisely. The eclipse also aligns with the lunar nodes and asteroids Juno and Vesta. This helps stabilise us with themes of consistency, awareness, equality and empathy. There is more focus on the South Node this eclipse which allows us to let go even more of the patterns that are old and no longer serve who we are becoming. There is an ability to transcend who we think we are at this eclipse – to become more of our integrated self. There is also the promise of new knowledge – from the inner landscapes – upon which a new world can be built. This eclipse can literally bring about a new vision or way of being for the future. For us and for many. Do we stick with that which is done and bemoan our fate or do we move way beyond our conditioned and powerless minds to see things that have not been seen on this planet for a long time. We will be asked to make a choice – do we forgo our egoic need to be in power or control [which will have significant ramifications for you if you do go that way] or do we choose to awaken to who we are and see and know the truth of that and let it flourish. With this eclipse we have the potential to become the greatest power of all – uncertainly uncertain – unstable potential – that will move in what ever direction behoves it. Without fear of favour. With effortless effort. 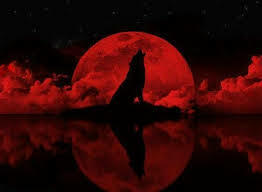 On the 27th of September we will be holding a sweat lodge for the blood moon at 1pm at the usual site in the Vales – contact Prue if you wish to attend. This will be an unusual sweat – beginning with the traditional heating of the stones with wood fire – and there is much that will unfold in this ceremony – for everyone – as we move to make these wonderful energies our own for rebirthing and awakening. And as if all of that wasn’t enough – starting on the same day – the planetary square that will most strongly effect earth for the next two years begins – the massive Saturn in Sagittarius square Neptune in Pisces. There is much Karma involved in all of this – the opportunity to clear the decks again of all the mad ramblings of the mind that cause guilt, angst and fears. What ever needs to be got out of your way to allow you to grow will be drawn to the surface now – and as some of this will now be bleeding through the very thin veil between us and all other dimensions that is created by the eclipse and the great square – many people will not have a clue what is going on and may be alarmed that they are actually going mad and many may sadly do just that as they are thrust into this without a map to navigate the territory. Self discipline and patience are very useful qualities to draw on for this period of time as we let go of old worn out dreams and the grief that comes with this and open under Neptune to new dreams and visions to help a new age. The dark of the psyche will be equally active in demanding expression and integration however the standard approaches we take with this – drugs and escapism – will not serve – any more than the fear and paranoia created by such rumblings from the dead bodies of our unconscious that may surface. Truly as the veil thins – some very frightening things may unfold in your life and this can impact powerfully on old patterns of depression and anxiety that lead to wanting to hold on – now is not the time for that. Also avoid buying into crazy religions or the mad end of conspiracies or cults lol. Or schemes that promise too much to be believable. All the difficulties that may come to the surface now are simply here to help you break free of outmoded thinking and feeling patterns and just because something might feel terrible it does not mean that it is terrible – trust that it is here to challenge you to set yourself free. During this transit we will also see an increase in the timing and consequences of severe disasters associated with weather patterns and fossil fuel issues and disasters. There may be a big upsurge in bombings and drownings as people encounter war and try to flee it. The authority of the state will be profoundly challenged during this transit as will the authority of religious fundamentalism and the poison it spreads across the world. The rights of women and children will be very much front and central here.